Ontario is home to over 150,000 people and it one of the busiest transportation hubs in California. Being just over 30 miles from Los Angeles and Long Beach, Ontario facilitates a large portion of the shipping and fright that comes through their ports. This creates an environment prime for effective advertising and billboards. The major highways that serve Ontario are Interstate 10, the Pomona Freeway and Interstate 15. 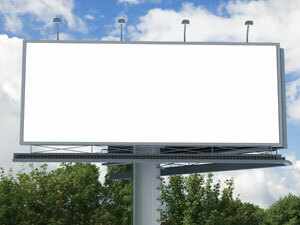 Billboards on any of these high traffic areas would be sure to gain exposure for your business. The tourism industry in Ontario allows for outdoor advertising in places like American Wilderness Zoo and Aquarium. Furthermore, the shopping centers offer opportunities for digital signage ads. For example, billboards in the Plaza Continental Shopping Center or the Ontario Village Shopping Center will expose a high number of possible consumers to your business.